Here's a big job... enhance and automate multiple techniques for deriving seafloor depth measurements. And that's what TCarta Marine, a global provider of marine geospatial products, has been awarded— a research and development grant by the National Science Foundation (NSF) to enhance and automate multiple techniques for deriving seafloor depth measurements from optical satellite imagery. The ‘Project Trident’ research seeks to transform existing satellite derived bathymetry (SDB) techniques by leveraging machine learning and computer vision technology to enable accurate depth retrieval in variable water conditions. 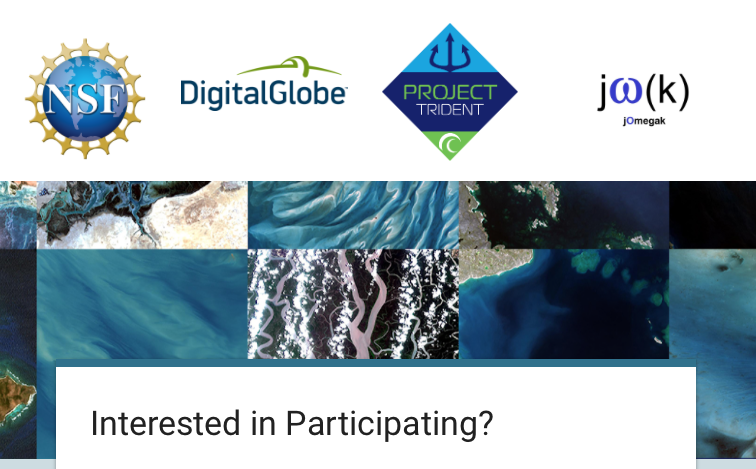 TCarta won the grant for Project Trident in partnership with jOmegak of San Carlos, California, and DigitalGlobe of Westminster, Colorado, in Phase 1 of the NSF Small Business Innovation Research program. The one-year research project will be carried out at the TCarta facility in Denver. Kyle Goodrich, TCarta President said that their goal with Project Trident is to expand the geographic scope of SDB in shallow coastal areas. SDB technology currently derives water depths only in calm, clear waters, which limits its applicability. In 2014, TCarta successfully commercialized a proprietary technique for digitally extracting water depth measurements down to 20 meters from high-resolution DigitalGlobe WorldView satellite imagery. The SDB products became popular with organizations operating in shallow coastal waters because the technology is more cost-effective and timely than traditional airborne and ship-borne bathymetric methods — with no adverse effects on the environment. Goodrich continued that in the current SDB process, they use manual stereo photogrammetry methods to measure seafloor ground control points in digital satellite imagery, but this is extremely time consuming. They are developing an automated photogrammetric process to extract a greater number of ground truth points from high-resolution WorldView imagery. Goodrich added that thanks to the NSF grant, they are taking a giant leap forward on TCarta satellite-derived bathymetry methodologies and aim to exponentially accelerate them with the latest in machine learning and computer vision technologies. TCarta is soliciting beta testers for participation in Project Trident research. If you are interested, contact Project Trident Principal Investigator, Kyle Goodrich, at trident@tcarta.com or please complete the online Project Trident survey.